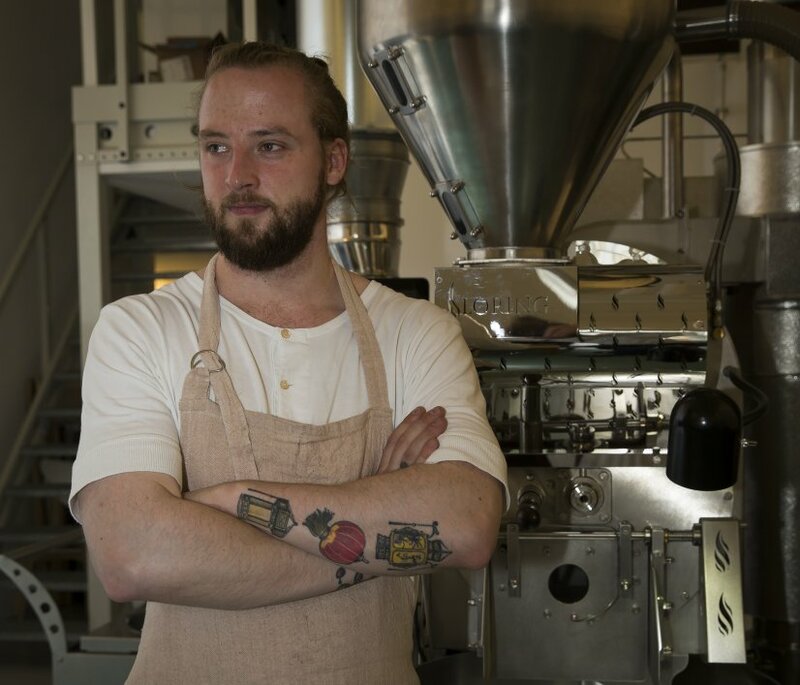 Patrik Rolf’s passion for coffee was ignited in his hometown of Gothenburg, where he worked behind the bar at the da Matteo café. After half a year, he moved to the roastery, where he learnt the ropes from one of Sweden’s best roasters. Over the following years, he moved around Europe, advancing to the roaster position of a well-established specialty coffee roastery in Berlin. In the German capital, he got to live out his roasting dreams fully, roasting up to two tonnes of coffee a week. He once roasted for 25 hours straight, just because, as he says, he could. Yet April Coffee is not about speed or scale. On the contrary: Patrik Rolf focuses on finding the very best beans for his coffee, growing long-term relationships with his suppliers and working with them to improve their product and quality of life.